Flooding, burst pipes, roof leaks, failed sump pumps and other causes of standing water can pose very serious health hazards, in addition to significant property damage. Because of the serious risk to health and property associated with standing water, the removal and cleanup process should begin as soon as possible – and only be trusted to a water removal specialist. Whether you have a small or large water removal problem, it is important to have it assessed by a professional water removal company as soon as possible. Air drying or fan drying does not happen quickly enough to prevent bacteria, toxins, mold, mildew, airborne viruses and diseases from taking root in your walls, flooring, HVAC systems, ductwork, furniture and other possessions. Standing water must be cleaned using specialized disinfecting cleaners, fast acting deep extraction equipment, and protective gear. Only water removal personnel trained in the proper techniques and equipped with specialized water removal and restoration equipment should attempt to clean standing water or flooding. Aaron’s Restoration understands how crucial immediate water removal can be to save your possessions and safeguard your family’s health. Our Troy MI based water removal company uses the latest technology to extract water and completely dry carpets, flooring, furniture, walls and valued possessions. 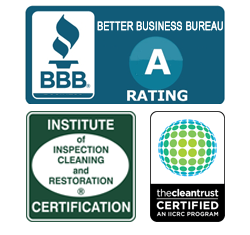 We also extract the dirt and kill all mold, mildew, virus and germs using environmentally safe cleaning products that will leave your home dry, as well as safe and sanitary. Call Aaron’s restoration 24/7 for your Water Removal Needs.